Al’s also provides full service plumbing maintenance, repairs and replacements for every plumbing component in your home. Al’s sells and installs Rheem Professional Series gas & electric water heaters, and tankless water heaters. Al’s is near your home in Plano, Allen, and Frisco. We service all homes in southern Collin and Denton Counties with no additional travel charge. The Primary Benefit Of Ductless HVAC Systems Is The Ability Cool The Home In “Zones”. This Means You Can Choose Which Rooms You Want To Cool & Heat. Most countries don’t have central HVAC. A 2013 article stated: “U.S. households use more energy for A/C than the rest of the world combined.” Many 3rd World countries don’t have A/C at all. ** Of those that do, most countries’ homes have Zoned HVAC, as it consumes much less electricity when managed properly. Large homes typically have more than 1 Central HVAC System. It’s common for 1 or more HVAC Systems to cool & heat daytime living spaces & 1 or more additional Systems cool & heat the bedrooms. This allows the owner to set the thermostat to a more energy-efficient setting in the spaces not being used at any given time. But what about a large home with 5-6 bedrooms where the owners are using only 1? It’s still wasting energy to cool & heat all those bedrooms in order to cool & heat the one bedroom being used. There is a smaller HVAC solution for this type of need. It is a Heat Pump System that provides both heating and cooling, and is designed for 1+ rooms. Ductless HVAC Systems provides the owner with the ability to cool / heat 1-4 areas with the same quiet operation as a Central HVAC System. If a supplemental Ductless HVAC System is added to an existing home, the Central HVAC Systems continue to function as they always have. Notably lower heating & cooling bills because you chose which spaces to heat & cool. To some extent, this can be done with a Central HVAC System. But Central systems are designed and installed to be operated with all vents open all the time. Closing vents throws the system out of balance, often resulting in overly cooled or heated rooms which can also result in the system “Short Cycling” running for quite short periods of time then shutting off. Additionally, closing several vents causes less airflow through the system than it’s designed for. This can result in overheated furnaces or frozen A/C indoor cooling coils in summer. With a Central HVAC System, cooled / heated air must travel through ductwork to reach the rooms. Along the way, some of the cooled / heated are leaks out. If the ductwork is in the attic, that cooled / heated are is lost. With Central HVAC Systems installed in the attic, you get that initial “blast” of cold air in winter or hot air in summer — while the Central HVAC System heats or cools the ducts. This is eliminated with ductless HVAC. Indoor pollutants such as: dust, dust mites, pollen, mold, & bacteria can accumulate inside ductwork. Without regular cleaning, these pollutants eventually spread around your home and lower indoor air quality. Note: The outdoor unit can be placed on the ground or hung from the wall. Ductless HVAC Systems are also known as “Mini Split”. There is an indoor unit connected to the outside unit by a refrigerant line. The indoor unit has a cooling coil & a fan. It’s whisper-quiet, as heating & cooling-process noises are generated outdoors. The outdoor Heat Pump units for Ductless HVAC generate as little as 40-45 db of sound outside (Central system’s outdoor units start at 53db, with some up to 70db or higher). In addition, all Heat Pumps make additional noise in winter during their defrost cycle. American Standard’s / Mitsubishi Ductless Heat Pumps work in temperatures as low as -13°F. The indoor unit generates about 25 Decibels of sound (similar to rustling leaves). American Standard / Mitsubishi offers Ductless HVAC Systems from 1,600 to 54,000 Btu/hour (60,000 BTU is a “5 Ton” HVAC System. 12,000 BTU’s = 1 Ton). Ductless HVAC Systems are ideal for large homes where only a limited number of rooms are used. Also, for homes around 2,000 square feet or less, it’s possible the entire home can be heated & cooled with a ductless HVAC System. One or more Ductless Systems can be installed, allowing the owners the comfort & convenience of central HVAC without needlessly heating & cooling large amounts of space that is not being used. Typically, 1 outdoor unit can serve up to 4 indoor units. For ductless systems with up to 8 indoor units, there is a (stacked) two-compressor outdoor unit..
Each indoor unit has a separate thermostat & comes with a Remote Control. You can have each indoor unit set to the temperature you prefer. The outdoor unit runs only when one or more of the indoor units call for cooling or heating. If you install a larger Ductless System with multiple indoor units (“zones”) — you can install a programmable (wall) thermostat in each zone. If you want the additional abilities of a Smart Thermostat, you must install one in each room. Each Smart Thermostat is paired with a thermostat adapter so it can communicate with the others (also aWIFI Connector is required). 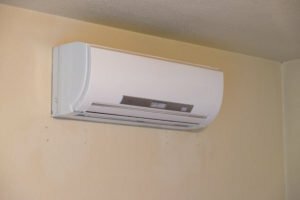 The aesthetics of a ductless system create issues for some homeowners. In cooling-climates (like DFW) indoor units are typically mounted high on the wall, which may create an visual objection. If you don’t want the wall-mounted indoor unit(s) — other options are available. Ceiling units mount within the ceiling, with only the grille visible. The ceiling unit has a fan that draws air into the unit (at the center) and vents cooled or heated air (along its outer edges). Will A Ductless System Be Less Expensive To Install & Operate? The Ductless System may be less expensive to buy IF you must install new ductwork. If you don’t need to replace the ductwork, replacing the Central HVAC System is less expensive. 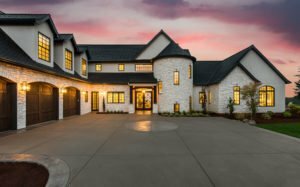 If you home is larger than 2,500 square feet, and you want to heat & cool the entire house, a Central HVAC System is best. If your home is 2,000 square feet or less, consider ductless (if you must replace the ductwork). If you want to be able to select which rooms you heat & cool, a ductless system is likely best. It depends on the total amount of space you will typically heat & cool. If you currently have Electric Heat, a Ductless System will be far less expensive to heat with. 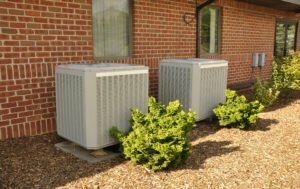 If you currently have a Heat Pump, and plan to heat & cool the entire house, a Ductless System will cost much the same to operate as a Central HVAC Heat Pump System. 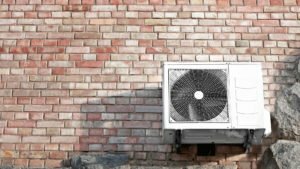 If you currently have a Heat Pump, and plan to heat only portions of the home with a Ductless System, ductless will be less expensive to operate than Central. IF you currently have a Gas Furnace, and cool & heat the entire home, it will be less expensive to heat with gas than a Heat Pump Ductless System. If you have a Gas Furnace and plan to cool & heat portions of the home with a Ductless System, consult with your HVAC Contractor to determine the best choice. Return-air ductwork (taking air to the furnace) fills with dust over time (if not cleaned every few years). All air going to the furnace passes over the dusty ductwork. Some of the dust makes it through the furnace filter and ends up in the supply-air ductwork. In summer, supply-air ductwork (taking air from the furnace) may sweat due to DFW’s high humidity. If ductwork sweating occurs, mold has what it needs to grow (food & water). This is particularly true of the cooling coil inside or above the furnace (enclosed and can’t be seen). Note: The leakage can be dramatically reduced with ductwork sealing. Ductless HVAC systems have compressors (in the outdoor unit) that increase / decrease their operating speed based on heating / cooling demand. Most Central HVAC shuts off entirely, and requires a lot of electricity during the next compressor start-up.” Top models of Central HVAC also have variable speed compressors. Multi-zone Ductless HVAC Systems offer the advantage of having 1-4 indoor air units, allowing an indoor unit in multiple rooms (each with its own thermostat). control. For 5-8 rooms, a double compressor outdoor unit will be installed. More flexibility for families with large differences in temperature preferences. With a Ductless HVAC System, each room can be a different temperature. The ability to cool hotter rooms without over-cooling other rooms. Some do not want to see the wall units. There is a solution, though, it was outlined above. Each indoor unit has an air filter. Just like with Central HVAC, the filter must be checked monthly and cleaned as needed. With several indoor units, the task may become too large. If the wall units are up high on the wall, a ladder will be needed to reach them (or the ceiling units). Can’t I Get A Window A/C For Less Money? Yes, if the noise it creates will not be a problem. The indoor unit of Ductless HVAC makes about 25 dB of noise (about the same as rustling leaves). One of the quietest 8,000 BTU window a/c generates 53db (about the same as light traffic). +10 dB is twice the volume (loudness). So the quietest window unit would be +28db, or nearly 3 times as loud as the Ductless indoor unit. Also consider where bedroom windows are located in relation to the bed. Are they on the same wall as the headboard, or somewhere else in the room? The closer the a/c will be to your ears, the more likely noise may become an issue. Window A/C Pose A Security Risk If Not Secured. All that is required (if unit is not secured) is to simply push it into the home from outside. Add a wood dowel between the top of the upper window frame and the (raised) top of the lower window frame. Make the dowels long enough to fit tight. You can add a felt pad to avoid scratching the window while installing the dowels. This will cause the window to be forced downward onto the a/c. It’s not foolproof, but will be a deterrent to a home-invader who wants to get in quickly. This allows for a window a/c installation without screwing into the window. We don’t recommend screws as it’s easy to damage the glass or the window’s frame. Window a/c are not insulated well enough to leave in the window during winter without notable heat loss. The expanding side-panels (to make it fit the window’s width) are uninsulated and are not air-tight. Many window a/c have only foam sheets separating their outside components from the inside components. If you are going leave a window a/c installed during winter, we suggest insulating & weather-proofing the side panels. One solution is to cut and add Thermo-Tec 14130. Hold it in place on all sides with vinyl tape (like electrician’s tape). One installed it will provide a fairly air-tight seal and its radiant heat barrier will reduce heat-loss in winter & heat-gain in summer. The product features 100% synthetic fiber felt that provides sound & comfort control. A high-tech foil heat barrier that blocks more than 90% of radiant heat. Note: The shiny side is the radiant-heat barrier. Create a two-side piece with the shiny side out on both sides to reduce heat gain in summer & heat loss in winter. Note: This product has minimal insulating value (though great at blocking radiant heat). Note: To increase the insulating-value, wrap some fiberglass insulation in a white plastic trash bag and insert it between the A/C and edges of the window. There are indoor vinyl a/c covers for inside that help with both heat loss & air-leakage (they come in small, medium, & large sizes). To further insulate the a/c, tape a bath towel over the front before adding the cover. There are also permanently installed, through-the-wall Packaged HVAC Units that both heat and cool (like in hotels). They require the same electrical source as an electric dryer, so special wiring will be needed. Also, cutting through brick must be done by a licensed contractor. The are noisy when running. Some come with a Heat Pump (+ supplemental electric heat). Others offer only expensive electric heat. Ductless HVAC Systems have Heat Pumps. Can’t I Get An Electric Heater For Less Money? Yes, if it will meet your needs. Noise generated will not be an issue, and nearly all electric heaters have a thermostat. Their thermostats are less accurate than a wall thermostat because they are built into the heater, and they get warm when the heater is running. 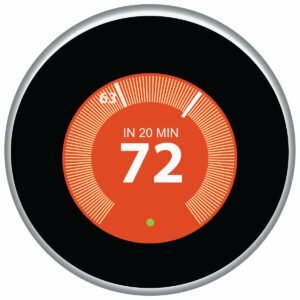 The thermostat setting will likely need to be adjusted frequently based on changing outdoor temps. With an electric heater operating on its highest setting, the electrical circuit won’t be able to provide much electricity for other devices. To determine if you can use other devices, turn them on. If the breaker does not trip, it’s ok to use them. If the breaker trips it has protected your home’s wiring, and you know the amount of electricity exceeds the ability of the home’s wiring connected to that outlet. Al’s also provides full service plumbing maintenance, repairs and replacements for every plumbing component in your home. Al’s sells and installs Rheem Professional Series gas & electric water heaters, and tankless water heaters. Al’s is near your home in Rowlette, Murphy & Wylie. We service all homes in southern Collin and Denton Counties with no additional travel charge.